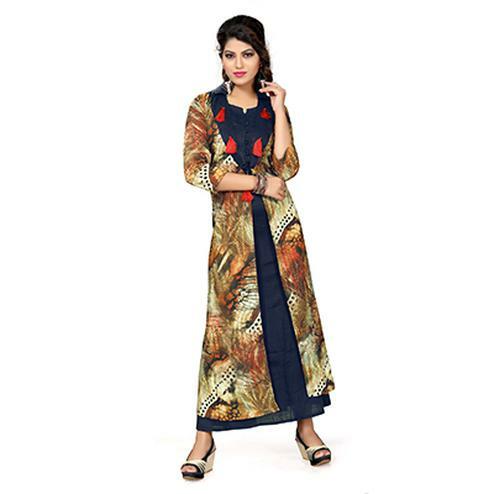 Include yourself in the glamour of the season with this blue denim kurti. The strong message speaks of your confidence and gives a glimpse of your strong personality. It is made of fine fabric that will keep you at ease all day. 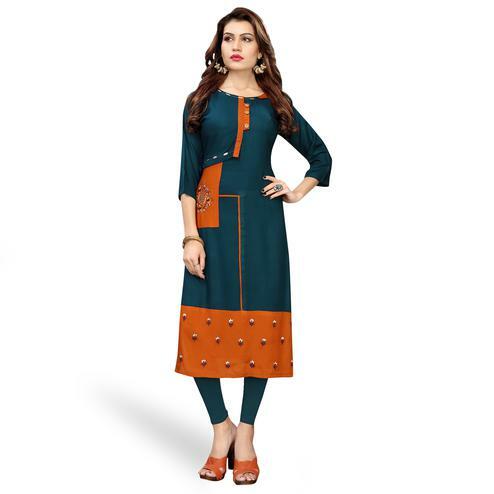 It can be paired with jeans or leggings along with kolhapuri or high heels as per your mood for the day.